This website is about the Vintage Stylophones by Dubreq. If it has an MP3 socket, It ain't Vintage! In 1968 the first Stylophones were launched (Thanks to a broken toy piano, which will be explained later). This battery powered hand held analogue synth with its unique method of playing, by running the stylus up and down a plated circuit board, took the world by storm. Between 1968 and 1985 there have been 2 revisions to the original release, which I will expand on later. There were also bass and treble Stylophones. The 'standard' Stylophone is black and white in colour with a silver grille. Treble stylophones started out as all white with a black grille, then became all white with a silver grille. Bass stylophones are a bronze/light-brown colour and have gained the nickname 'gold stylophone' due to this. The bass stylophones never really worked very well due to the way the oscillator produced the notes (and probably not helped by the size of the speaker!). 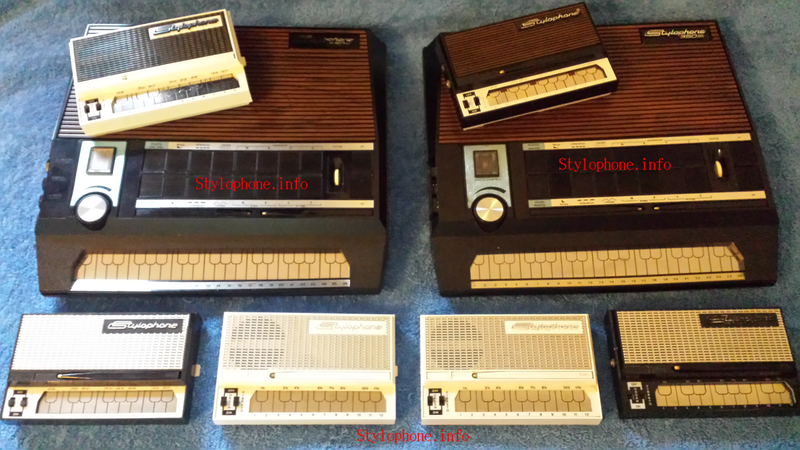 In comparison, not many bass stylophones were sold and they are now quite rare. Around 1975, the 'New Sound' Stylophone was introduced. Its name coming from it now having a square wave oscillator, which gave a very different tone to the original ones. The new sound had a volume control, a vital addition that was for some reason omitted on the originals. 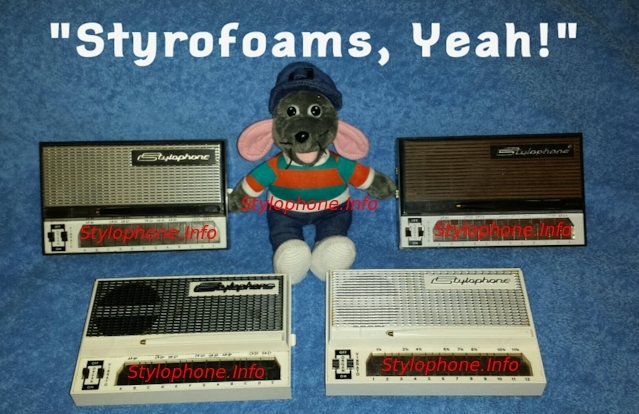 Around 1977 the Stylophone 350s was produced. The 350s takes some of its design ideas from the Piano Mate, and infact, the circuit board in the Piano Mate is numbered 3506 (3506 - 350six - 350s?). I feel they were trying to resurrect the failed Piano Mate in a new form, but unfortunately the 350s didn't take off either. It is a big, somewhat ugly synth that is quite difficult to actually play properly with its dual stylus's. Around 1985 Dubreq sadly had to close their doors and no more Stylophones were made. I can't help wondering what would of happened if the Piano Mate would of had a proper keyboard instead of having to be used with a Piano... It would certainly of made it more portable, since a piano is too big and heavy to easily carry from gig to gig.